The Compact SUV from the french brand has got eyes upon across the world and has been modified by various reknowned brands across the world - by DC in India. 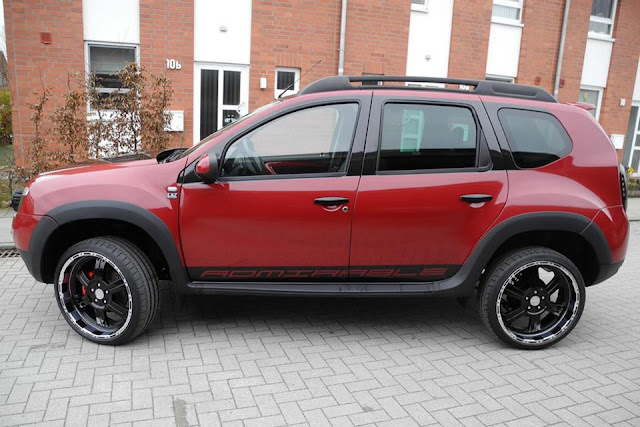 This time its the turn of LZParts who have modified this already beautiful looking Compact SUV and they call the modified version as Duster Admirable. The changes include the set of front headlights which is now powered by LED Technology. The rear headlamps too get a LED treatment. The front grill also wears two lamps which gives this Compact SUV a rugged and off road look. 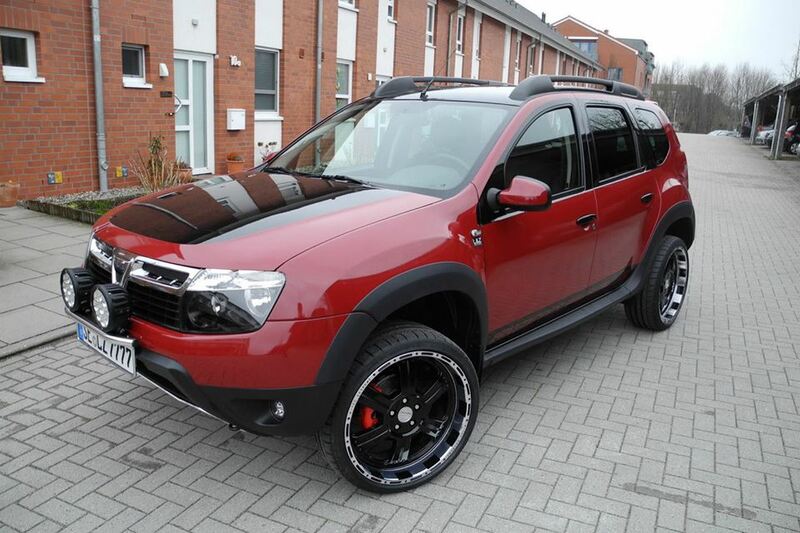 The Admirable Duster is also raised by around 300mm and is fitted with low profile 20" matt black alloy wheels. The exteriors of the car is painted into a two tone job - including a dark red shade and a wet look of black paint. On the interiors the Duster Admirable wears two tone black and red interiors with red color covering the center console. There is also LED fitted on the rear of the front seats. The car also gets Blue LED fitted "ADMIRABLE" sill plates which gets illuminated while you open the doors of the car. The instrument cluster gets Yellow illuminated backlight which inturn look sporty. Complete Images of Duster Admirable could be viewed here. 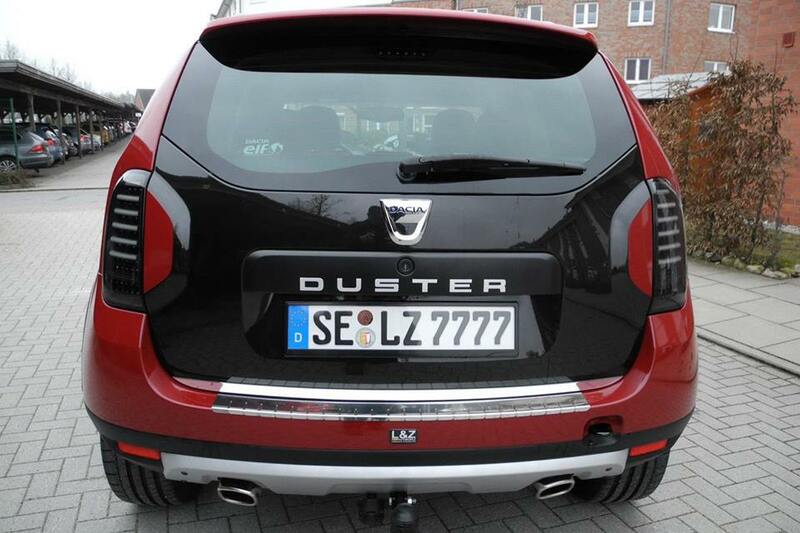 As well as other Duster modifications could be seen here.